How’s an SEO Specialist’s workday? You will be part of a small but very successful team that generates online traffic for major iGaming operators. The aim of the company is to create well-known brands focused on sportsbetting (but also casino). With rich content (newspaper quality), unique AI algorithms (match predictions) and previous game data will the players be given a unique experience like no other existing affiliate portals can offer. You will be managing all onsite & offsite SEO optimization and increasing rankings on all major search networks/engines (SEM). The company promotes a flat organisation where titles and hierarchy don’t matter much but hard work does. You’re free to be who you are, express yourself and feel at home with the friendly team. At the end of the day is the only thing that matters results and accomplishments. Optimize sites for search engines, mainly Google to achieve high-ranking on the SERP. Plan and follow-up on traffic- and link acquisition initiatives. Create, maintain and implement keyword strategies. Continuously analyse web traffic and act on trends. Contribute to secure the quality of traffic acquisition and organic growth. Manage all risks within the complex field of SEO (Onsite & Offsite). Securing the company’s competitiveness within SEO and traffic acquisition methods. Contribute to the development of support tools for traffic acquisition and SEO. Sharing knowledge within the organization. 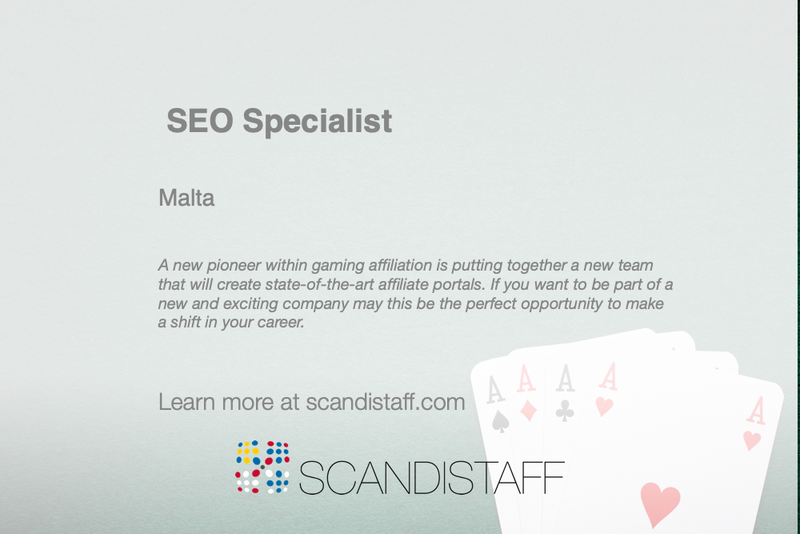 Who is our new SEO Specialist? You’ll need hands-on experience working professionally with SEM (mainly SEO) and have a solid understanding of common SEO tools. You’ll need a strong mindset where success for yourself and the company is priority no. 1. Do you want to be the SEO Specialist?